Twice as good as current-gen? Qualcomm's next-gen Snapdragon 820 chip, which will include the company's latest Kyro CPU, is set to double the speeds and battery life of the current-gen Snapdragon 810. "With Kryo CPU and Snapdragon 820, you can expect up to 2 times the performance and up to 2 times the power efficiency when compared with the Snapdragon 810 processor," Qualcomm said on its website. To achieve this massive performance booth, the company says it has custom designed each core on the Snapdragon 820 system-on-chip (SoC) so that onboard functional cores, like the CPU or GPU, can be combined for different tasks "more effectively as a comprehensive system with other onboard components." 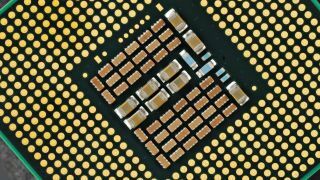 The Kyro CPU, which is being manufactured on the latest 14nm FinFET technology, is the company's first custom-designed 64-bit quad-core CPU made specifically for the Snapdragon 820. It has also developed a system manager for the Snapdragon 820 SoC, the Qualcomm Symphony System Manager. "While some processors limit their system management to CPU cores, Symphony is designed to manage the entire system-on-chip in different configurations so that the most efficient and effective combination of processors and specialized cores are chosen to get the job done as quickly as possible, with the least amount of power," Qualcomm said. Unfortunately, Qualcomm hasn't revealed when we can expect to see the next-gen chip in our phones and wearables, though we don't expect to see it until next year.